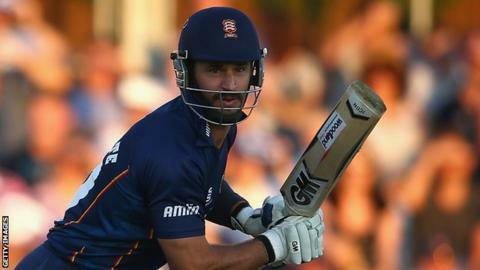 Essex one-day captain Ryan ten Doeschate has signed a new contract until the end of the 2016 season. The 34-year-old all-rounder has been with the Chelmsford side since 2003 and led them to the quarter-finals of the T20 Blast and One-Day Cup in 2014. With the bat, he averaged 88.75 in the T20 Blast and 52.50 in the One-Day Cup. "He is still a key player for us in all formats, and his captaincy of the one-day team last season was excellent," said Essex head coach Paul Grayson. "Ryan has been a fantastic servant for Essex, and we are very pleased he has decided to extend his time here."